The Notre Dame jackpot was last won in May, since then it has been steadily growing and it is now worth more than £145,000. The game was launched earlier this year and already the jackpot has been won twice. In April a player walked away with £205,545 and then in May another player bagged £141,685. Based on this it could be won any day now. The progressive jackpot is won through the slot’s Chest Bonus feature. The bonus is triggered by landing a total of three scatter Chest symbols on reels 1, 3 and 5. Players then need to open a chest which reveals a wheel of fortune. The wheel is spun and the player collects prizes until the arrow lands on the word ‘Collect’. To win the progressive jackpot the arrow needs to land on the diamond symbol. Once this happens the player collects the jackpot and all other winnings up until that point. 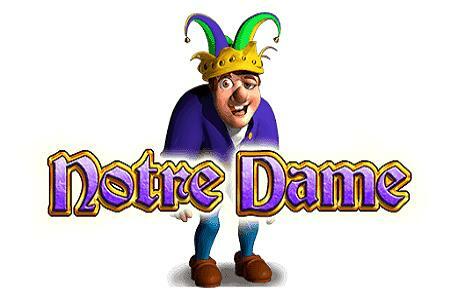 In addition to the Chest Bonus, Notre Dame slot also has two other bonus games, the Jesters Free Spins bonus and the Bell Tower Bonus as well as a wild symbol.